Located 15 minutes from the State’s Capital, Jamies Pond is an 840-acre IF&W Wildlife Management Area that features nearly six miles of family friendly hiking trails through picturesque forests, past vernal pools, and to scenic shoreline vistas. Located in Manchester, 189-acre Lakeside Orchards grows thirty varieties of apples, three varieties of pears, and crabapples. The farm also operates a retail store that sells apples, pears, cider, gift packs, delicious treats and gifts throughout the year. Located in Fayette, the 245-acre Meadow Brook Farm currently raises beef cattle as well as a small flock of goats and sheep for fiber. The farm is part of a larger conservation area that includes the neighboring Sturtevant Farm, the former homestead of an American Revolutionary War veteran. The public is invited to explore a hiking trail that offers views of Mount Washington. 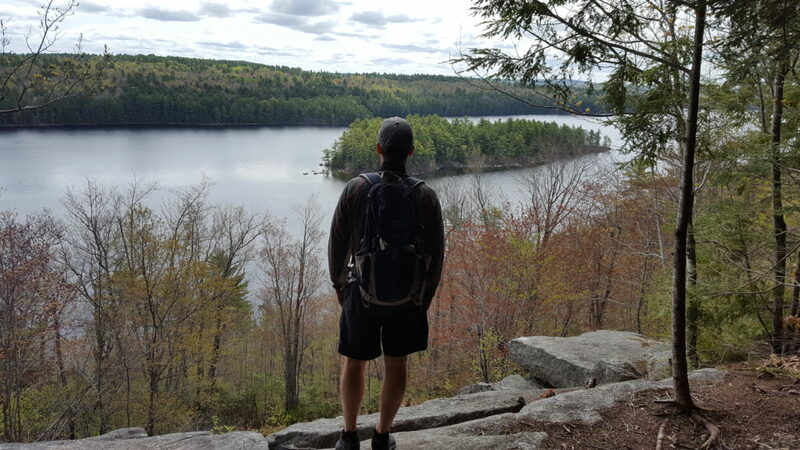 Located in Fayette, the 142-acre Parker Pond Headland Preserve has more than 2.5 miles of moderate hiking trails that wind underneath a towering hemlock forest before reaching scenic ledges high above the pond. In addition to hiking, there are opportunities to snowshoe, hunt, fish, ice fish, canoe, and swim.